I Fish! Dr. Marvin, I Fish! I’m a Fisherman! A little bead of wetness clung to the end of my dad’s nose like a drip of golden honey – only it wasn’t honey. Light refracted through it giving it the look of a droopy diamond as we sat under the canopy of our Glasply in the bitter cold sunlight and watched the end of our poles drag herring through the black water out by the old Ketchikan pulp mill. I couldn’t take my eyes off of it. The tension was killing me. It felt like the time I watched my great aunt Hazel smoke a cigarette down to the filter without flicking the ash. No matter how many times she brought the gasper to her lips, completely covering the filter with old woman lipstick, the ash valiantly held forth. When she finally flicked the ash into the tray and blew the last remnants from her lungs, I breathed a second-hand-smoke sigh of relief. 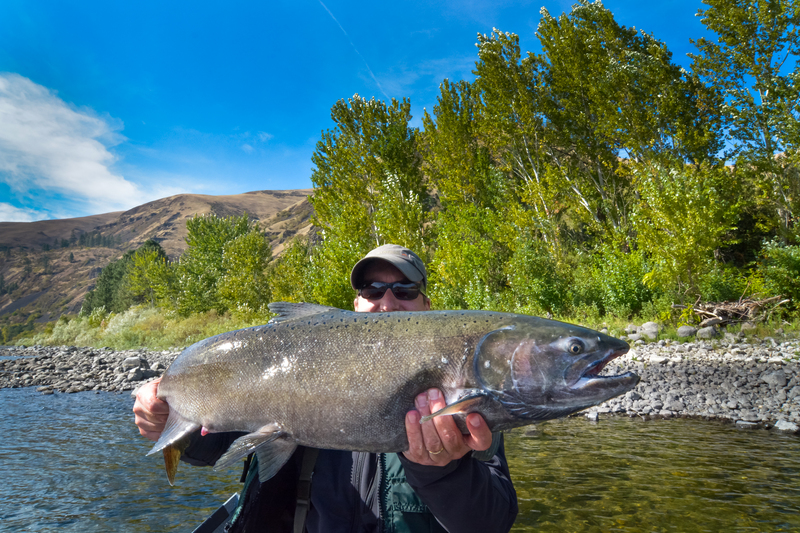 Fishing for King Salmon has been described as hours and hours of boredom interspersed with moments of sheer terror, but I think this is a gross overstatement. It wasn’t as if we were harpooning whales from a kayak. We put little fish onto a little hook to catch bigger fish. I guess if our big fish got eaten by a bigger fish, like, say a Killer Whale, that would be terrifying, but sitting in a boat, eating Snack Pack pudding and Zots and reeling in a fish now and then wasn’t terrifying – it was actually, a little slice of heaven. 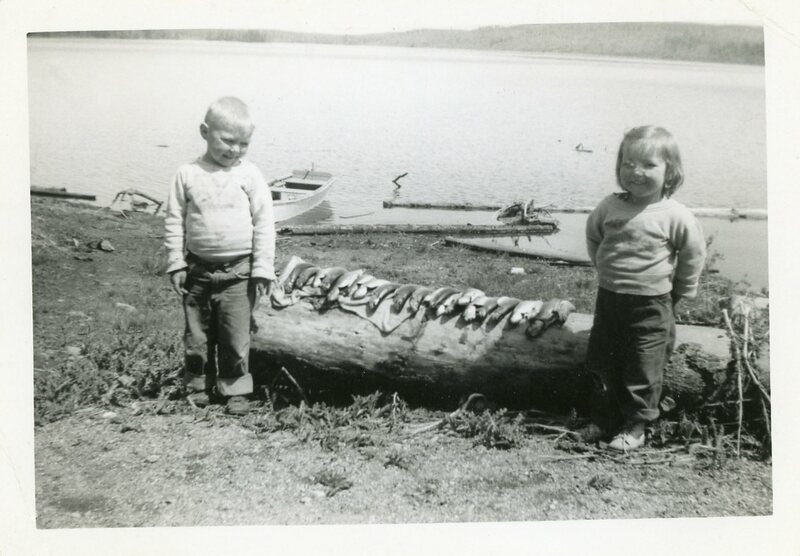 My sister, Betty, hated fishing almost as as much as I loved it. 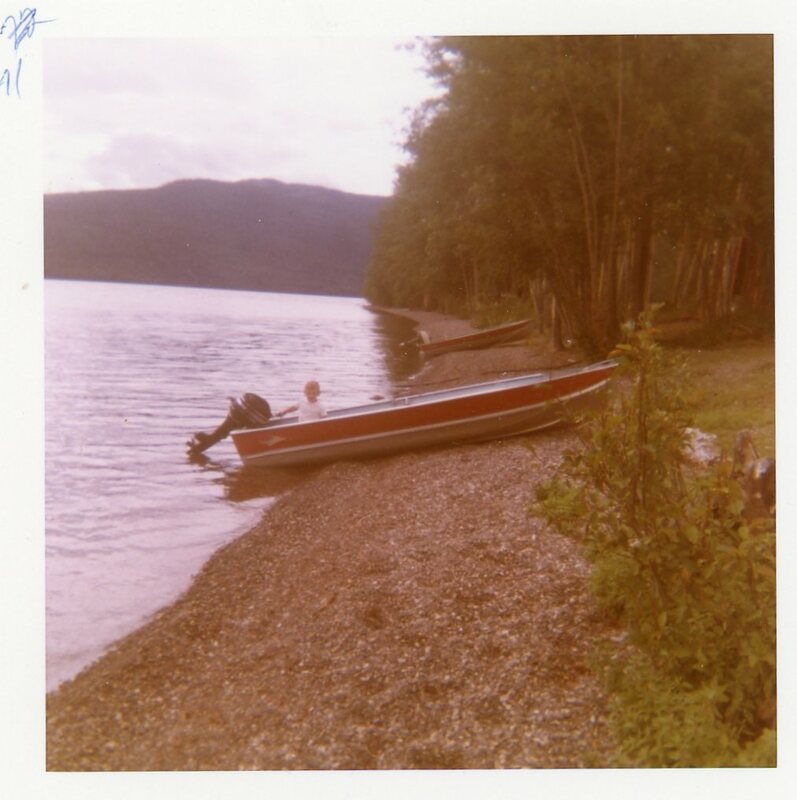 The problem with fishing was that it required her to spend hour after hour with my dad in a small boat. 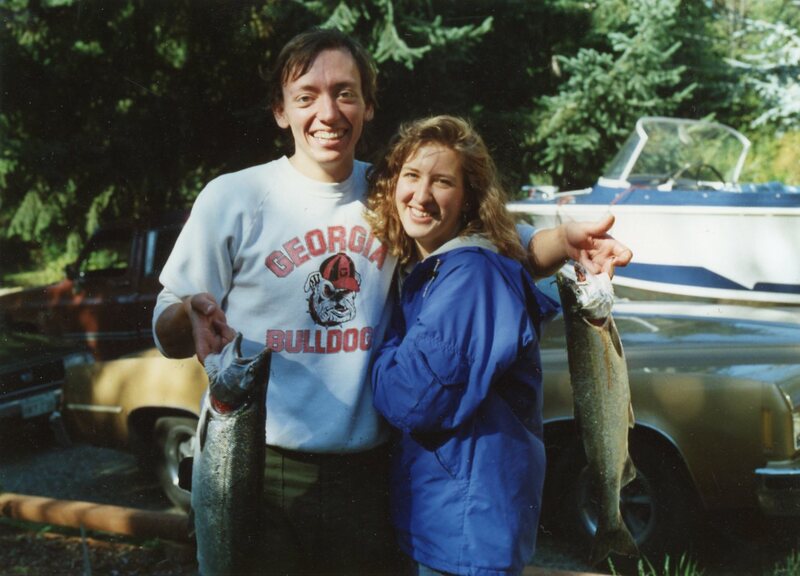 It’s also a lot more fun if you actually catch fish, and, no matter how much she tried, my sister couldn’t catch fish. I would reel in three fish from the starboard side of the boat and dad would make us switch sides. Then I would catch two from the port side and we would switch back. Then we would switch poles and switch lures, but none of it helped. If Ketchikan had had a county fair, I would have come home with ten goldfish and she would have had a bag of wax lips. As I got older I realized there were other reasons Betty dutifully sat on her side of the boat catching nothing: chocolate bars. The little bar of Hershey goodness was enough to keep her coming – that is, until she realized she could stay home, with a good book, and eat the bars in complete comfort. 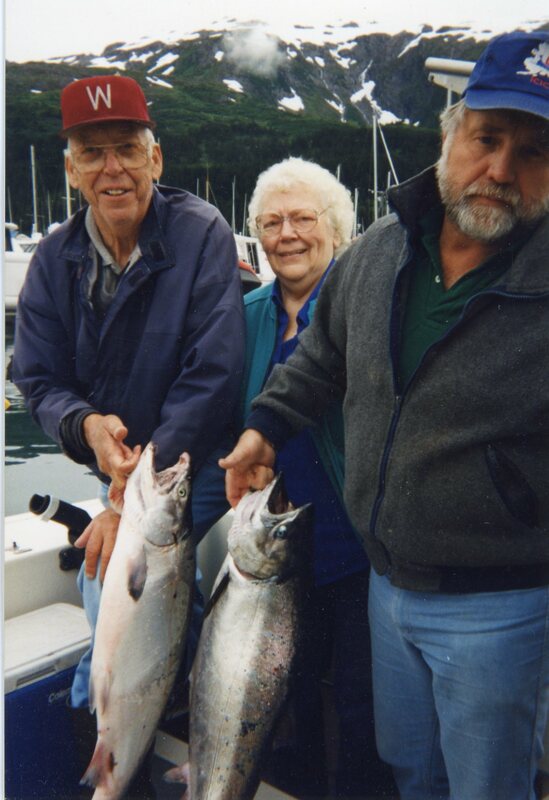 My mom, on the other hand, liked to go fishing, but I never once saw her reel in a fish. She hooked hundreds, but as soon as dad realized that she had a fish on he would take the rod from her. Exasperated, once again, she would say, “Earl!” and then go back and make sure Betty had enough chocolate bars. It seemed her only jobs aboard the boat was to hold the pole until dad took it away from her, dole out chocolate and hold my belt loop when I needed to pee over the edge of the boat. “Dad,” I said after watching the drip roll back and forth with the rise and fall of the boat for what seemed like hours. “You’ve got a drip of snot on your nose.” I reached my finger up to my nose to show him where. In an instant his tongue came out and the drip vanished like a chameleon catching a fly. In that moment I felt my personal space bubble expand to exclude hugs from my dad and I also felt the urgent need to wash my mouth out with soap. 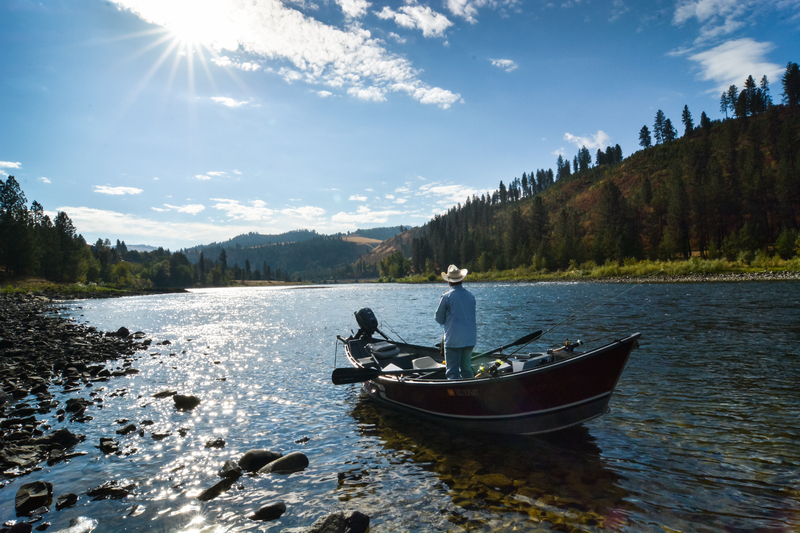 The Clearwater River is about as far away from Ketchikan as it is from New York City, but as I sat in the cold metal drift boat hooking plugs to snap swivels and arranging my gear for the day, I had a strange feeling like I had done it my entire life. I blew on my fingers to get my 50 year old circulation going, but I felt 12 again. I moved to Idaho when I was in my third year of college and never had the desire to fish. I went once with my roommate and that evening he went on and on about the 13 inch trout he had caught that day. 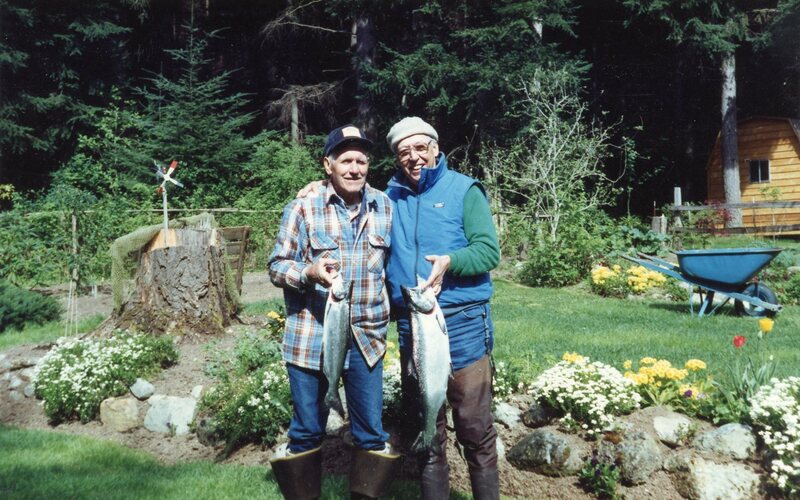 After about ten minutes of his diatribe, I told him that in Alaska we used fish like the one he caught for bait. I’m sure it was a nice fish, as far as trout fishing goes, but I could not see the enjoyment in reeling in a fish the size of a woman’s slipper. Little did I know that only an hour away flowed a river of milk and honey, bursting to the banks with fish – real fish. Fish that a man could be proud of. Fish that broke the water when you hooked them and danced and flailed in the air trying to spit your hook. Fish that battled you and fought you and tired you and tested you and needed to be knocked out with a stick when you got them in the boat so they wouldn’t damage anything. Fish that bled on you and that you had to strain to hold as someone took your picture. These were fish you hung on the wall. It only took 30 years for me to discover it, but less than an hour to fall in love. The Clearwater isn’t a misnomer. It’s big and wide and clear as air. It’s old and thinning in places where you need to lift your feet and hold your breath as you float over it so you don’t scrape the bottom, but deep and dark in other places with channels and holes that hide big fish that strike out of anger instead of hunger. Angry fish, who knew? “Keep your tip up! Don’t loose it! Let it run! Check your drag! Don’t give it slack!” Every new fisherman gets on the job training. I knew these words by heart and smiled warmly when I heard them. When your body reacts independently of your mind and heart you have become, if not an expert, at least very comfortable and in tune with what you’re doing. I hadn’t caught and landed a really big fish in 30 years, but holding the pole as the fish tried to rip it from my fingers felt natural and homey like wearing an old baseball glove or a favorite hat. I felt relaxed and in charge. The fish didn’t stand a chance. Catch and release is like dating in highschool. You chase, you catch, you have a short relationship, then you release. 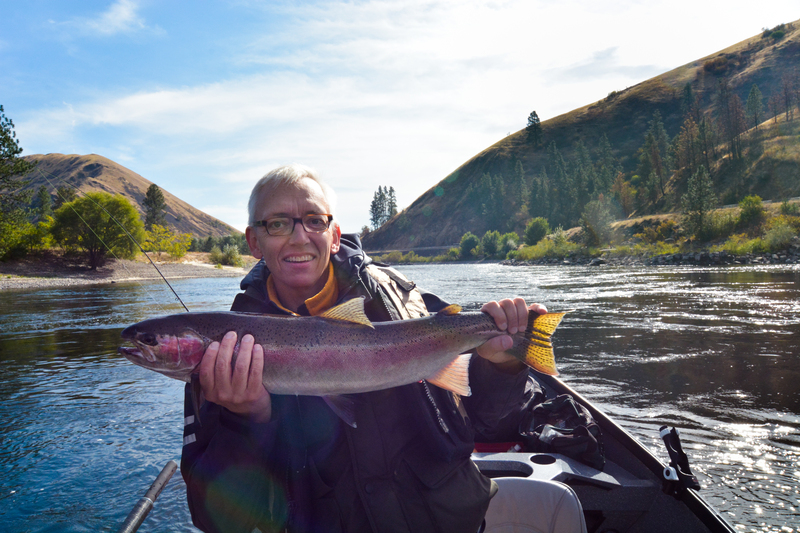 The hook fell out as the Steelhead flailed in the net. I reached carefully in and grasped the fish by the tail and throat and lifted it up for its photographic debut. He smiled and I smiled. He was beautiful and bright, a wide band of color running down both flanks. I knelt by the stern and carefully lowered him into the water to let the oxygen flow through his gills and bring him out of his stupor. After a few moments of lolling from side to side his wits came to him and he fought out of my grasp, powering back into the depths. The yuppie with the Spey Rod and the Orvis fly vest looked on with disdain as Dave and I thrashed around in the drift boat like a couple of school kids, hollering and high fiving like we had just won the lottery, which in a way, I felt like I had. I knew in that moment that I would be buying walnuts for Dream Crusher at Costco (you’ll have to ask her about this) and getting a boat. Man, I was unattractive, but boy could I catch fish. Dream Crusher and me before we were married. She only agreed to marry me AFTER I caught these beauties. When the poles were once again dancing above the water, Dave touched his nose and nodded in a way that confirmed, without actually saying anything, that I had a bit of snot dew clinging to the end of my nose. Without thinking, my tongue shot out and firmly lodged into the corner of my mouth as I searched my pockets for a Kleenex. I blew my nose and as I put the tissue away I thought to myself that maybe I was not my father’s son after all.